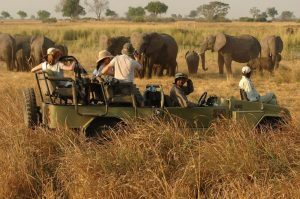 The 6 days Uganda wildlife safari Murchison falls and Kidepo valley national parks or 6 days Murchison falls & Kidepo valley wildlife safari Uganda is a wildlife tour in the savannah plains of northern Uganda. 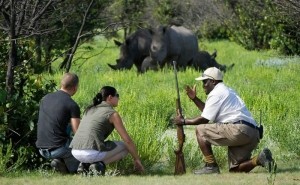 Starting and ending in Kampala-Uganda’s bustling capital, this exclusive 6 days big five Uganda wildlife safari takes you for Rhino tracking at Ziwa Rhino sanctuary. 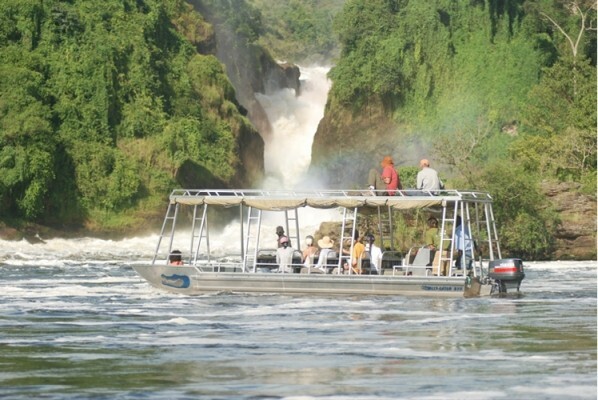 The trip continues with a game drive and boat cruise at Murchison falls national park plus a game drive and cultural tour at Kidepo valley national park. 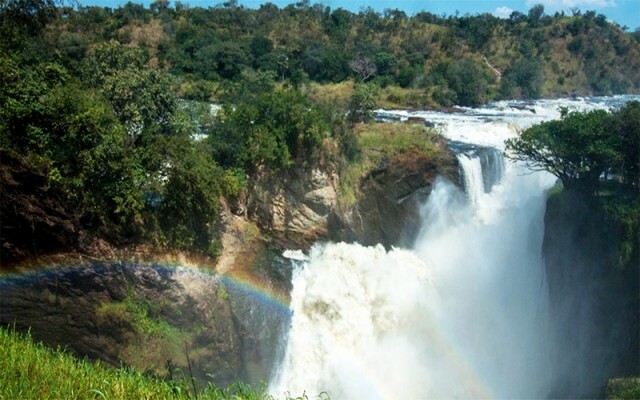 At your hotel or lodge in Kampala, you are driven by a knowledgeable tour guide to Murchison falls national park. After about 2-3hours drive, you branch off for rhino tracking at Ziwa rhino Sanctuary, you continue for lunch then Murchison falls park arriving in the evening. The next day, you go for a morning game drive, have lunch and then take an evening boat cruise and hike to the top of the falls. On the third day you drive to Kidepo national park for more wildlife safaris in Uganda experiences the next day as you go on a game drive and community tour the next day. The next morning, you go for another morning game drive then drive to Gulu for a night stay before a return to Kampala the next day. Day 1: From an accommodation facility in Kampala, a driver guide transfers you to Murchison falls national park with a stop to Ziwa Rhino Sanctuary. Day 2: Early morning, you go for a game drive, return to your lodge for lunch, go for an evening boat cruise and a hike to the top of the falls. Day 3: Driving past the dotted savannah plains of northern Uganda, you arrive at Kidepo valley national park in the evening. Day 4: In the morning, you go for a game drive through the park and visit the Karamojong community in the evening. 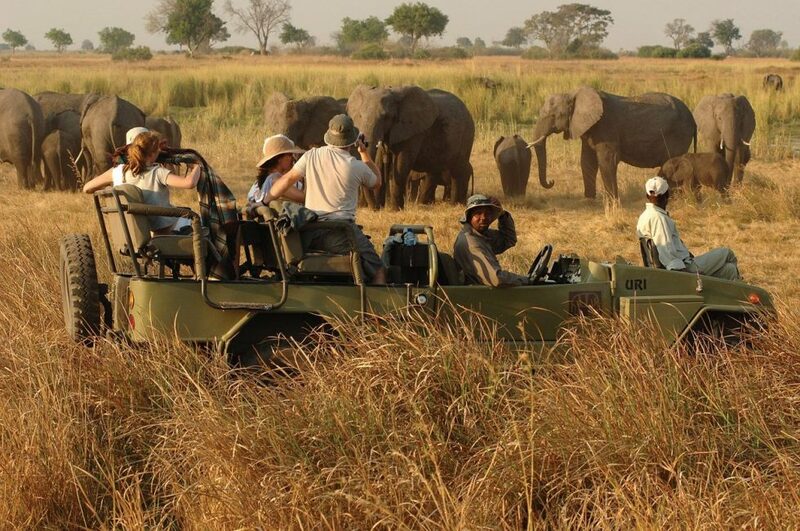 Day 5: You take another morning game drive then transfer to Gulu. Day 6: From Gulu you are driven back to Kampala. 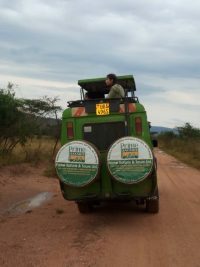 No matter the kind of morning, a knowledgeable Uganda safari guide picks you up from your lodging facility for a drive to Murchison Falls national park. You have breakfast at Kabalega diner then branch off to Ziwa Rhino Sanctuary for foot rhino tracking in the only habitat for rhinos in Uganda. 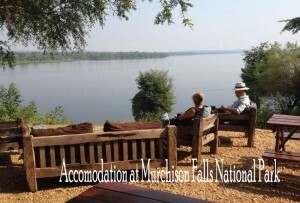 After about 2 hours, you are driven to Murchison falls national park arriving for check in, diner and an overnight at a prior preferred accommodation in Murchison falls national park. Rising by sunrise or early morning you are driven to Murchison falls park headquarters for a Uganda wildlife tour morning game drive starting at 7:00am. Lasting 2-4hours, Elephants, lions, leopards, buffaloes and giraffes make the common sightings of the morning alongside other early risers and bird species. You return to your hotel/lodge for lunch then go for an evening boat cruise at 2:00pm. 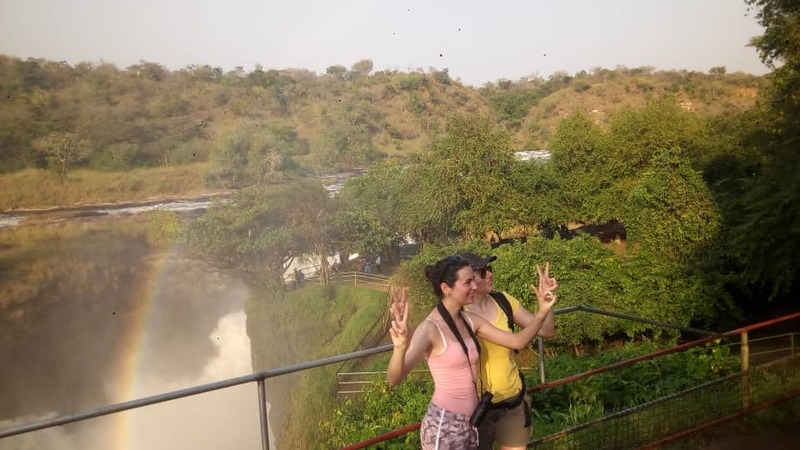 Below the waterfalls where the boat cruises to makes the starting point for the hike to the top of the thunderous Murchison falls for about 40min to 1h where after you meet your driver guide ready to take you to your lodging facility. 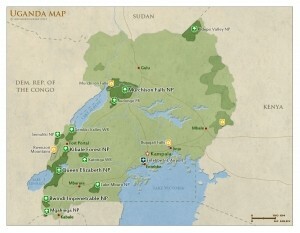 Following breakfast, you are driven for about 7-8 hours to hidden gem of Kidepo valley far north eastern Uganda. 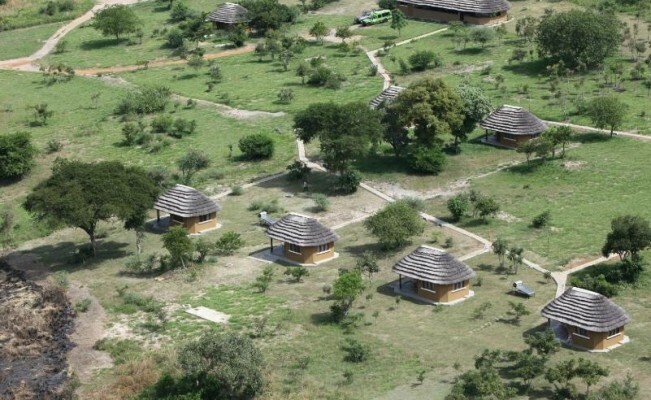 Passing through the vast dotted savannah plains, you sight the scenic hills that distinct Acholi land from Kidepo, the traditional homes of the Karamojong known as manyattas and the towering Morungole and Moroto mountains. 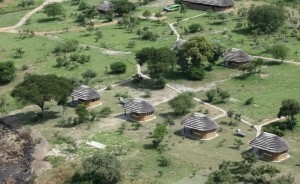 Arriving in the evening, you check in and spend a night at an accommodation in Kidepo valley national park. As the sun rises in Kidepo, you are also ready for a drive through the park with your driver guide and game ranger. 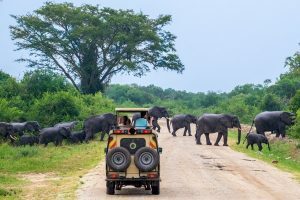 Driving through a tranquil environment, you go to the Narus river (the permanent source of water in the biome) common for buffalo herds, elephants, zebras, giraffes, antelopes and numerous bird species. In the evening, you go for a community tour to the Karamojong community where you interact with the natives of this place, get involved in the community activities and dine with them. Again, this morning, you return to the park for a drive through the park for more game viewing, with a chance to sight different species you missed the previous day. You enjoy a meal at your lodging facility after then embark on a drive out of Kidepo to Gulu town in northern Uganda where you spend the night. A hearty breakfast is the last for your safari this morning as you embark on the drive back to Kampala. A drive past the countryside offers a chance to understand why this place is home to those who survive here. 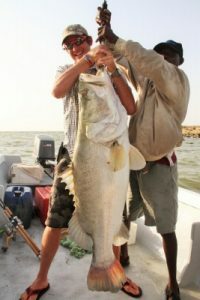 You arrive in the evening at the end of your wildlife safari Uganda to Murchison Falls and Kidepo valley national parks. Fully rewarding, this trip is one customize able to a Uganda birding safari or a fully wildlife tour Uganda. 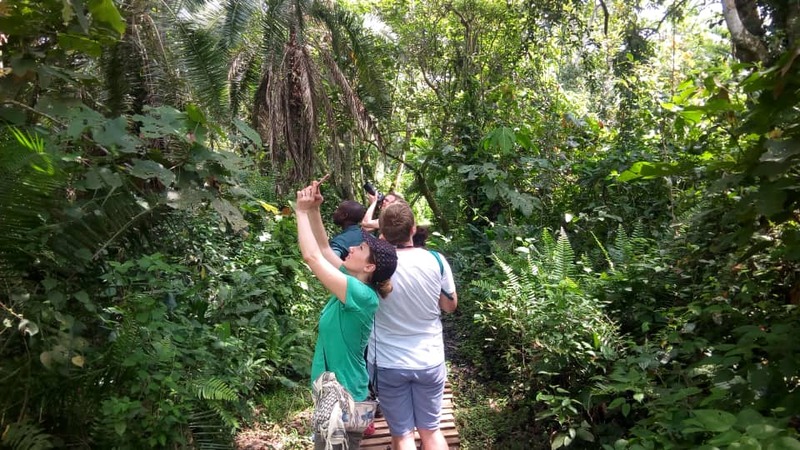 For Murchison falls national park, many tourists customize the trip with a Uganda gorilla trekking safari or gorilla safari Uganda at Bwindi impenetrable national park in south western Uganda. If its not to Kidepo, then its not a true wilderness. Come explore the beauty beyond expectations in the far Uganda’s off beaten track.